The year 2015 has been a tough one for many African economies. Despite the emergence of the ‘Africa Rising’ narrative over the last five years, much of the optimism surrounding the continent’s growth has been silenced by the recent fall in commodity prices and depreciation of local currencies. For example, since the decline of oil prices in the second half of 2014, the Nigerian naira has depreciated by close to 25%, leading to a number of fiscal and monetary changes that has slowed GDP growth in Africa’s largest economy. In fact, the Central Bank of Nigeria predicts GDP growth of 2.6% in 2015, compared to 6.3% in 2014, according to a recent PwC report. Both Angola and Ghana are suffering similar situations. And South Africa, the continent’s second largest economy and most sophisticated market, is also facing considerable challenges with a weakening rand caused by political uncertainty and falling investor confidence. For instance, President Jacob Zuma’s finance minister ‘reshuffle’ this month – where Finance Minister Nhlanhla Nene was unexpectedly replaced by the relatively unknown David van Rooyen – resulted in the rand plummeting against the US dollar. While some of this damage was reversed four days later when Van Rooyen was quickly changed with a former finance minister, Pravin Gordhan, it still had a negative impact on investor confidence. Furthermore, the strengthening of the US dollar, accelerated by last week’s US Fed’s interest rate hike, has not helped the African investment case. However, according to American investor and fund manager, Robert Scharar, there is currently a “tremendous opportunity” for inexpensive investments on the continent. While a strong dollar has led to, for example, outflows from South African exchange-traded funds (ETFs), Scharar believes this is temporary. Scharar is the president of financial planning and investment firm FCA Corp, and the fund manager of the US-based Africa Fund, a mutual fund listed on the NASDAQ Stock Market that invests predominantly in publicly-traded companies across Africa. 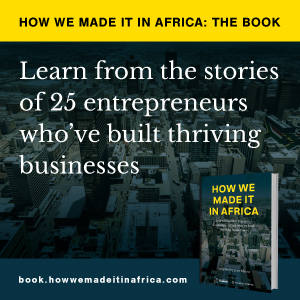 It specifically focuses on businesses targeting the continent’s consumer class, as opposed to resource-centred companies. The fund’s returns have fallen around 26% in the past year. But Scharar argues American investors should still look at buying the “relatively inexpensive” assets in African companies now, with a long term investment outlook. “I think in the next year or so is a pretty opportune time for investors to consider it. They just have to put [their investment] on the shelf… and not be hyper over the day-to-day volatility they are going to have,” he advises.